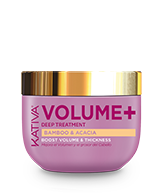 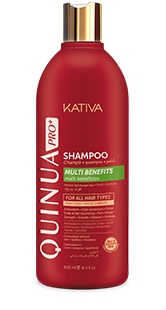 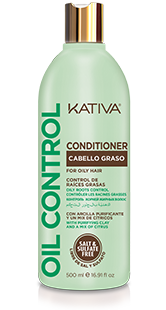 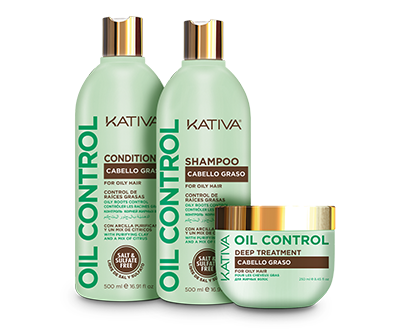 Enriched with bamboo, acacia and other active agents, Kativa Volume+ will help you get the volume your hair needs. 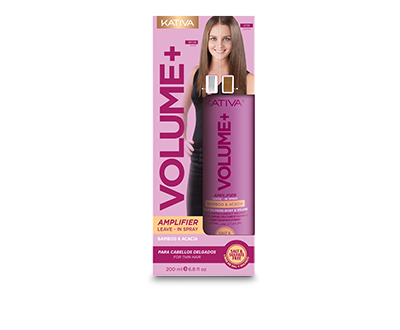 It will make thin hair dense and flexible. 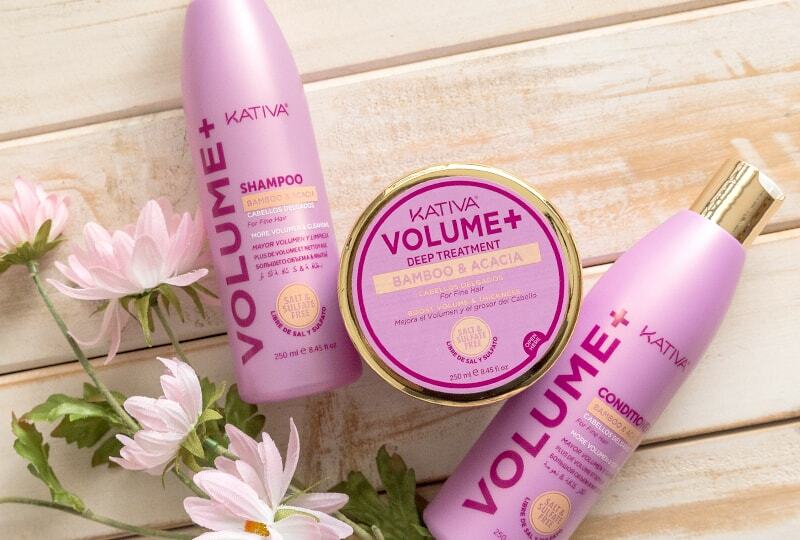 Recommended to provide volume to thin hair. 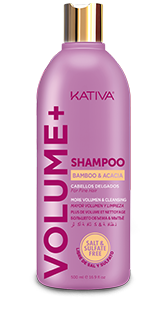 Acacia: makes hair thicker and more resistant, enhancing volume. 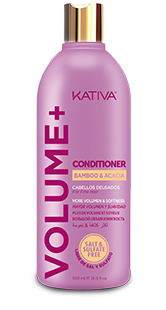 Bamboo: Is one of the world’s fast growing plants. 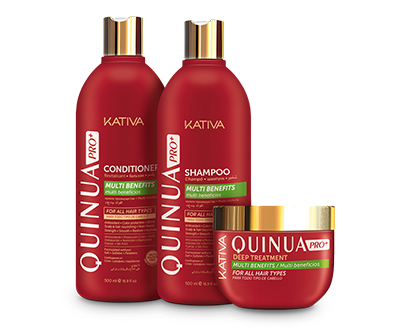 Due to its properties, bamboo extract, is usually applied on hair and scalp, since it provides shine, softness and density. 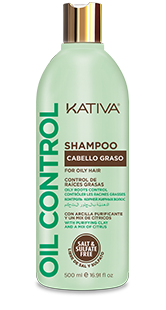 Acacia: It is a flower of the acacia tree, native from Australia. 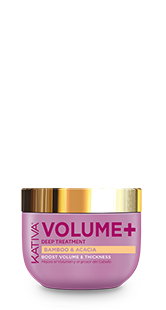 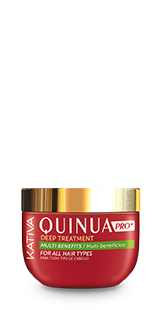 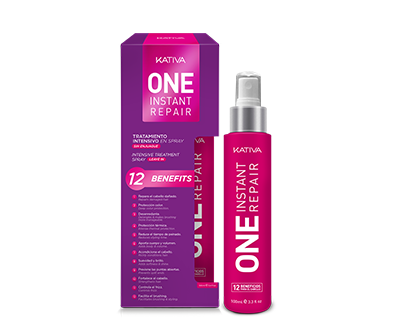 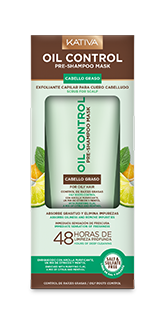 It has revitalizing and softening properties to restore damaged hair, strengthening and thickening hair fiber, enhancing hair volume. 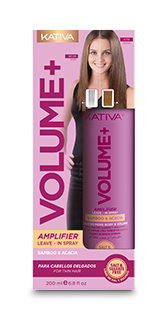 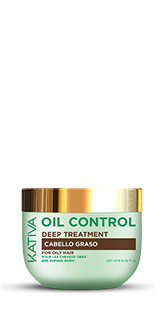 Volumizing active agents: High-tech polymers that enter the hair fiber, widening its diameter to have fuller hair with more body and volume. 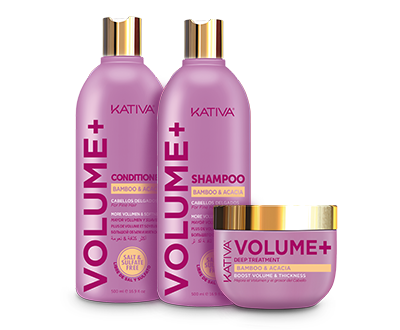 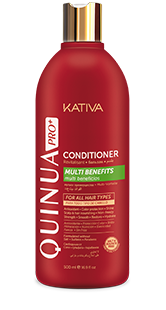 Why is it important that KATIVA VOLUME+ line is free of salt?